Consensus estimates Q4 adj. EPS of $1.59 (vs. $1.43 last year) on revs of $5.23 bln (-13% Y/Y). 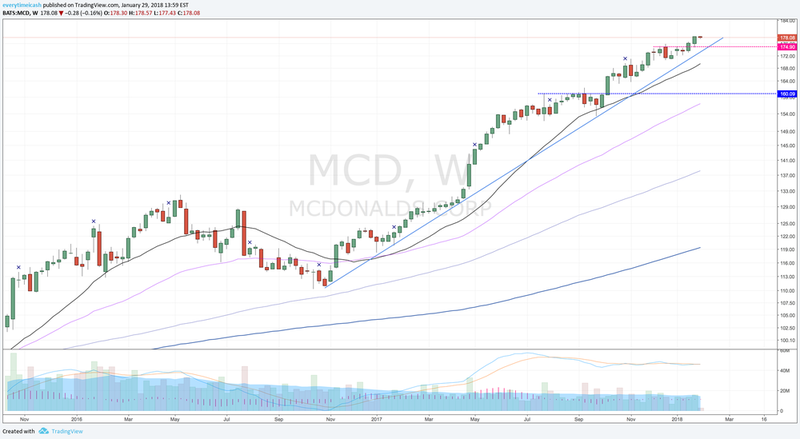 Expectations are high for McDonald's as it has renewed sales momentum with the popularity of its value menu, All-Day breakfast offering, and streamlined menu options. 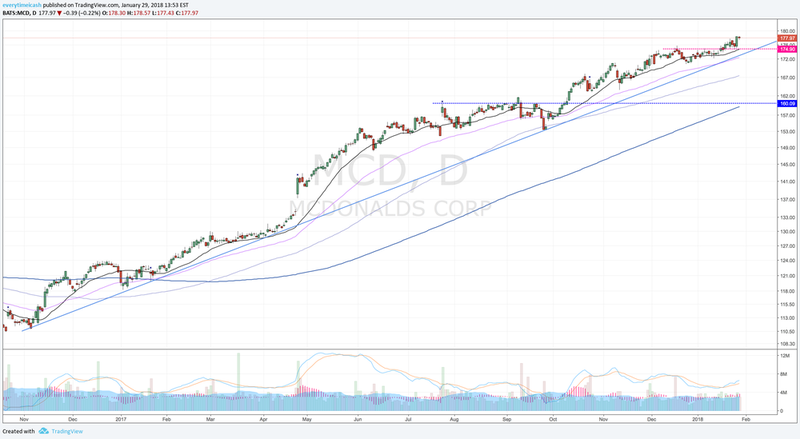 The stock, which is trading at an all-time high, could be at risk of a material sell-off if McDonald's fails to live up to the high expectations with its results and/or outlook.